If Soldevi Excavations would come into play, sacrifice an untapped Island instead. 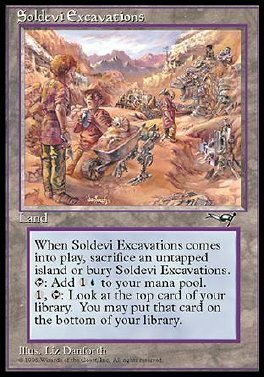 If you do, put Soldevi Excavations into play. If you don't, put it into its owner's graveyard. T Add 1U to your mana pool. 1, T Look at the top card of your library. You may put that card on the bottom of your library.